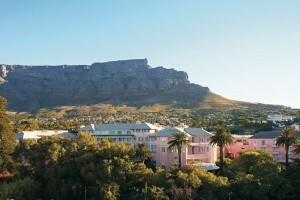 Set in a lush garden estate at the heart of Cape Town, the Mount Nelson Hotel is an iconic property. Its romantic heritage recalls the days of great ocean liners and high tea on the veranda, while its contemporary dining scene adds a lively buzz. 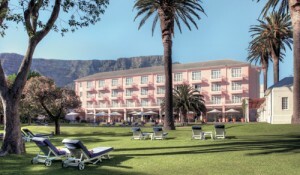 Situated close by Table Mountain and Cape Town’s spectacular beaches, it offers easy access to all that’s happening in this vibrant city, while its gardens and spa are an oasis of calm. Long regarded as one of the city’s top five star hotels, the Mount Nelson Hotel offers the perfect combination of leafy tranquility and contemporary buzz. Whether dining on exotic Cape cuisine, soaking up the sun at the Mount Nelson Hotel’s two outdoor swimming pools, or exploring Cape Town’s buzzing streets, your time here promises endless memories to cherish of your time in Cape Town. The Mount Nelson Hotel has 198 rooms and suites. There are two heated outdoor swimming pools, available exclusively for guests staying at the Mount Nelson Hotel. The Oasis Pool, one of the largest heated pools in South Africa, is ideal for families. Poolside service available from October to April and a swimming coach can be arranged on request. The Cottage Pool is located in a secluded spot and reserved for over-16s. Poolside service available from November to March. There are two tennis courts, available exclusively for guests of the Mount Nelson Hotel as well as a fitness center equipped with the latest cardiovascular and weight training equipment. Personal training is available for both guests and visitors to conduct fitness assessments and make tailored programmes. You can also find balance with indoor and outdoor yoga and pilates.